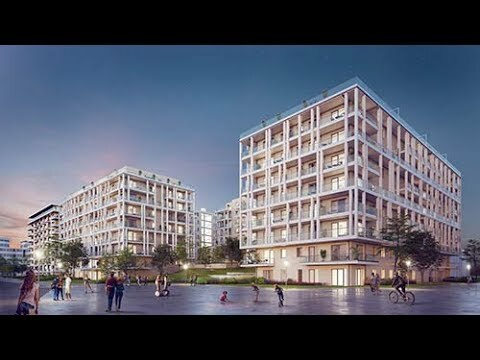 Marina Portside, located in Budapest’s 13th district, is am outstanding development. Its residents can enjoy all the special qualities that Budapest has to offer without waving goodbye to easy access to the city centre. The residential park is located just a short walk from the Danube riverbank in Meder Street, and many of the apartments offer stunning views of Újpest Bay and the Buda Hills. The location also has outstanding transport links, whether you’re travelling by car, metro, bus, boat or bicycle. Váci Street, which is just 300 metres away, offers easy access to the city centre and the M0 motorway. The Gyöngyös Street stop for the M3 Metro line and the stop for the 150 and 15 daytime bus routes, as well as the 950 and 950A night bus lines, are both less than a 5-minute walk away. You can also find a cycle path adjacent to Marina Portside, while the Meder Street stop for the D11 public transport boat route is also close to the residential building. Also just a few steps from the building, you will find the Marina riverside landscaped promenade, complete with a restaurant and children’s play area. If you have an active lifestyle, the gym at the nearby Duna Plaza shopping centre will allow you to keep fit all year round. For lovers of the outdoors, there is plenty to discover at Népsziget, where residents can enjoy a riverside path throughout the year and a variety of open-air food options in summer. The nearby Duna Plaza offers a wide range of services, including a post office, cinema, dance school, restaurants, pharmacy, petrol station, hair salon and supermarket. These modern, high-quality apartments located close to the river represent excellent, long-term investments, are easy to rent out and offer great ROI for their owners. – just five minutes’ walk from the Gyöngyösi út Metro 3 stop. – close to Váci Road, which is Pest’s largest main thoroughfare and provides easy access to the city centre and the M0 motorway.